Justice is the implementation of man-made laws. 14th December 2011. 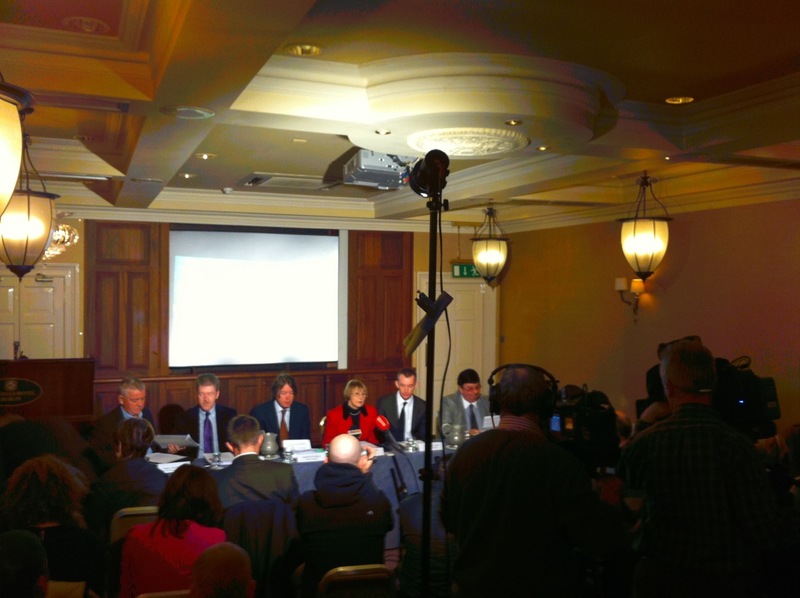 Today’s press conference in Dublin organised by Margaret Urwin of The Pat Finucane Centre / Justice For The Forgotten enabled survivors Stephen Travers and Des McAlea and the families of those murdered; Fran O’Toole, Brian McCoy and Tony Geraghty of The Miami Showband to give their reaction to the Police Service of Northern Ireland’s Historical Enquiries Team report into The Miami Showband Massacre. To the objective, impartial observer, disturbing questions about collusion and corrupt behaviour are raised… no means to assuage or rebut these concerns and this is a deeply troubling matter. It says to me, what has always been suspected, that Jackson was an agent. This is literally the smoking gun on Robin Jackson. I think this is absolute firm proof that he was an agent. If what has been reported is true then it’s horrendous and this needs to be followed up, properly examined, properly investigated to see what was going on and who was involved. When you joined the police in those days just as now you swore an oath of allegiance which is to uphold the law. The use of agents saved 1000’s of lives in Northern Ireland including many of our politicians who wouldn’t be alive today if we hadn’t had agents reporting people who were planning to kill them but that’s no excuse for some of the things that seem to be alleged in this report. I think the sterling work done by The Pat Finucane Centre in uncovering the documents referred to proves beyond a shadow of a doubt really what was going on and we need to get to the truth and the substantive issues around what the British government did. The key question is why did the British government not act at the time? Nobody is saying every single member of the UDR engaged in collusion but what is clear is that there is a very systemic relationship between the UDR and loyalist paramilitaries and that the British government were compelled to put the facts in a classified document stating they would be disloyal to the government if shove came to push. What did the government do at the time? They did nothing. They let, they acquiesced in this and they let this occur and that’s appalling. What we need is a (sic) today is one case and a hugely important case. What we need is an independent truth recovery process that addresses every incident in a collective way equally and addresses the whole issue of collusion, state violence and violence by other organisations. This piecemeal approach we are having at the moment is not doing anyone a service and we need to look at a political level about how we deal with the legacy of the past. If we can learn the lessons from this and perhaps in the future if somebody decides to take up a bass guitar rather than a bomb or put on a band suit rather than a balaclava I can tell them it’s a much better life. 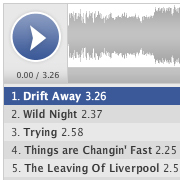 into The Miami Showband Massacre. 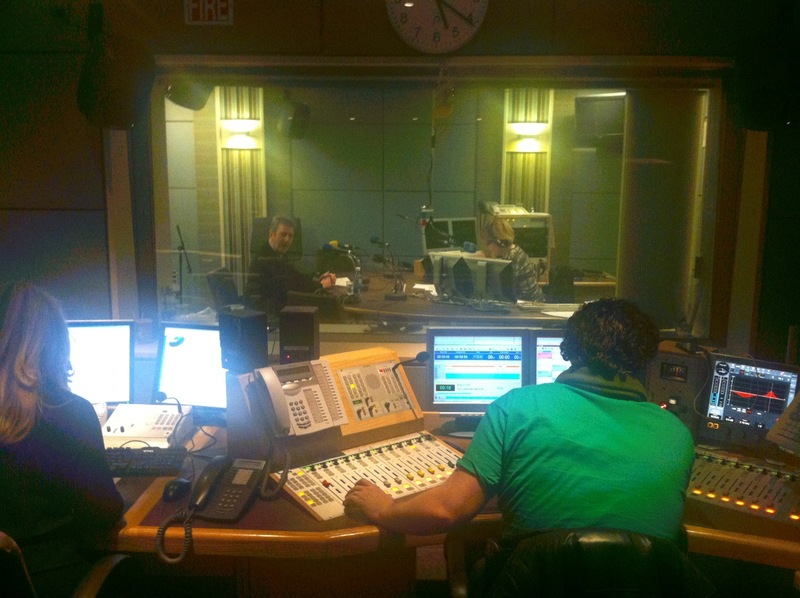 (c) Copyright RTE – Get the latest RTE News on The Miami Showband massacre. 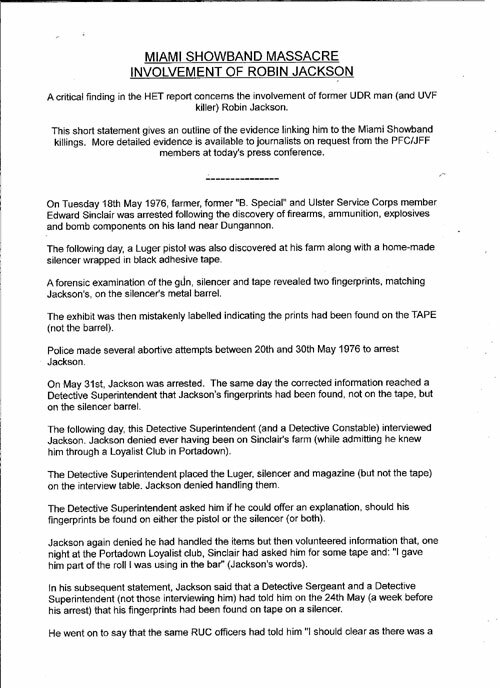 A critical finding in the HET report concerns the involvement of former UDR man (and UVF killer) Robin Jackson. This short statement gives an outline of the evidence linking him to the Miami Showband killings. More detailed evidence is available to journalists on request from the PFC/JFF members at today’s press conference. On Tuesday 18th May 1976, farmer, former “B. Special” and Ulster Service Corps member Edward Sinclair was arrested following the discovery of firearms, ammunition, explosives and bomb components on his land near Dungannon. The following day, a Luger pistol was also discovered at his farm along with a home-made silencer wrapped in black adhesive tape. A forensic examination of the gun, silencer and tape revealed two fingerprints, matching Jackson’s, on the silencer’s metal barrel. The exhibit was then mistakenly labelled indicating the prints had been found on the TAPE (not the barrel). Police made several abortive attempts between 20th and 30th May 1976 to arrest Jackson. On May 31st, Jackson was arrested. 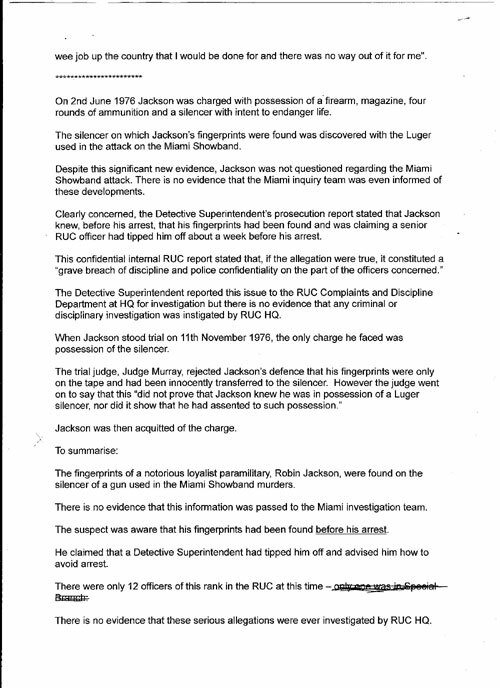 The same day the corrected information reached a Detective Superintendent that Jackson’s fingerprints had been found, not on the tape, but on the silencer barrel. The following day, this Detective Superintendent (and a Detective Constable) interviewed Jackson. Jackson denied ever having been on Sinclair’s farm (while admitting he knew him through a Loyalist Club in Portadown). The Detective Superintendent placed the Luger, silencer and magazine (but not the tape) on the interview table. Jackson denied handling them. The Detective Superintendent asked him if he could offer an explanation, should his fingerprints be found on either the pistol or the silencer (or both). Jackson again denied he had handled the items but then volunteered information that, one night at the Portadown Loyalist club, Sinclair had asked him for some tape and: “l gave him part of the roll I was using in the bar” (Jackson’s words). ln his subsequent statement, Jackson said that a Detective Sergeant and a Detective Superintendent (not those interviewing him) had told him on the 24th May (a week before his arrest) that his fingerprints had been found on tape on a silencer. wee job up the country that I would be done for and there was no way out of it for me”. On 2nd June 1976 Jackson was charged with possession of a’firearm, magazine, four rounds of ammunition and a silencer with intent to endanger life. The silencer on which Jackson’s fingerprints were found was discovered with the Luger used in the attack on the Miami Showband. 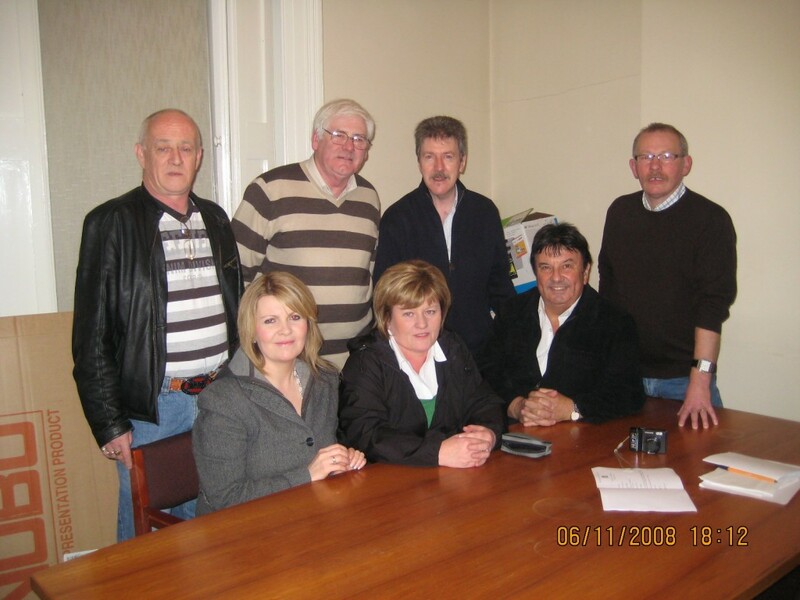 Despite this significant new evidence, Jackson was not questioned regarding the Miami Showband attack. There is no evidence that the Miami inquiry team was even informed of these developments. Clearly concemed, the Detective Superintendent’s prosecution report stated that Jackson knew, before his arrest, that his fingerprints had been found and was claiming a senior RUC officer had tipped him off about a week before his arrest. 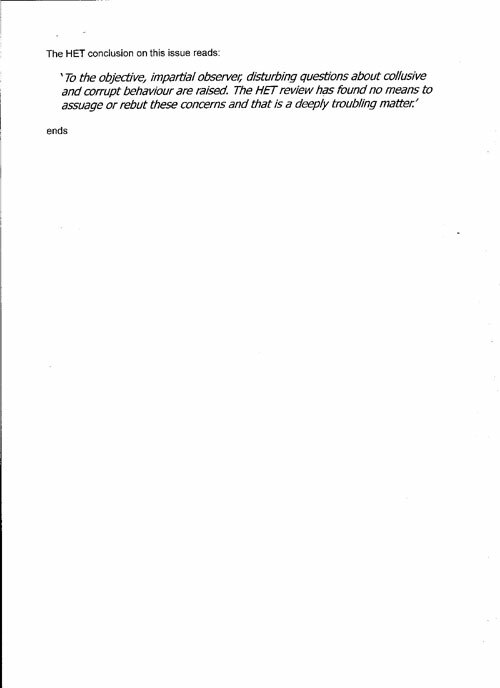 The Detective Superintendent reported this issue to the RUC Complaints and Discipline Department at HQ for investigation but there is no evidence that any criminal or disciplinary investigation was instigated by RUC HQ. When Jackson stood trial on 11th November 1976, the only charge he faced was possession of the silencer. Jackson was then acquitted of the charge. The fingerprints of a notorious loyalist paramilitary Robin Jackson, were found on the silencer of a gun used in the Miami Showband murders. There is no evidence that this information was passed to the Miami investigation team. The suspect was aware that his fingerprints had been found before his arrest. He claimed that a Detective Superintendent had tipped him off and advised him how to avoid arrest. There were only 12 officers of this rank in the RUC at this time. There is no evidence that these serious allegations were ever investigated by RUC HQ. Despite strenuous and repeated denials after the Miami Showband murders, the British authorities at a senior level knew, from at least August 1973, that the UDR was heavily infiltrated by loyalist paramilitaries. A 2O-page document “Subversion in the UDR” of that date records: a.That between 5% and 15% of UDR members’have paramilitary links with “widespread joint membershiP of the UDA” b. Some soldiers are “undoubtedly living “double lives” c. That the UDR is the single “best” source of loyalist weapons and the “only significant source of modern weapons. d. That the primary loyalty of many of its members was to ‘Ulster’ rather than the British government. e. There is a self confessed dearth of British and RUC intelligence on UDR-loyalist links. f. That in many areas UDR commanders consider dual membership normal. 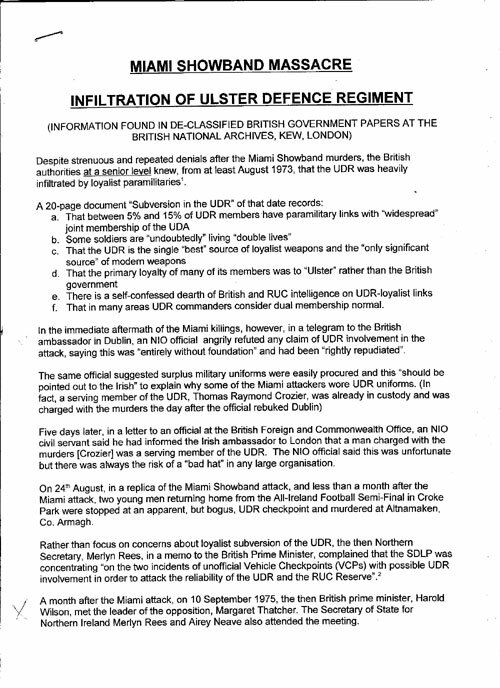 In the immediate aftermath of the Miami killings, however, in a telegram to the British ambassador in Dublin, an NIO official angrily refuted any claim of UDR involvement in the attack, saying this was “entirely without foundation” and had been “rightly repudiated”. Five days later, in a letter to an official at the British Foreign and Commonwealth Office, an NIO civil servant said he had informed the lrish ambassador to London that a man charged with the murders [Crozier] was a serving member of the UDR. The NIO official said this was unfortunate but there was always the risk of a “bad hat” in any large organisation. On 24h August, in a replica of the Miami Showband attack, and less than a month after the Miami attack, two young men returning home ftom the All-lreland Football Semi-Final in Croke Park were stopped at an apparent, but bogus, UDR checkpoint and murdered at Altanamaken, Co. Armagh. Rather than focus on concerns about loyalist subversion of the UDR, the then Northern Secretary, Merlyn Rees, in a memo to the British Prime Minister, complained that the SDLP was concentrating “on the two incidents of unofficial Vehicle Checkpoints (VCPs) with possible UDR involvement in order to attack the reliability of the UDR and the RUC Reserve”. A month after the Miami attack, on 10 September 1975, the then British prime minister, Harold Wilson, met the leader of the opposition, Margaret Thatcher. The Secretary of State for Northern lreland Merlyn Rees and Airey Neave also attended the meeting. ln a report of that meeting, a Downing Street official writes “Mrs Thatcher was informed that they were very worried by the current sectarian murders and that unfortunately there were elements in the RUC who were very close to the UVF”. The report goes on to report that “The Army’e iudgment wae that the UDR was heavily infiltrated by extremist Protestants’ and in a crisis situation they could not be relied upon to be loyal”. The British side were also aware of a sympathy notice for UVF men Harris Boyle and Wesley Somerville placed in the UVF magazine, “Combat” on behalf of UDR members. 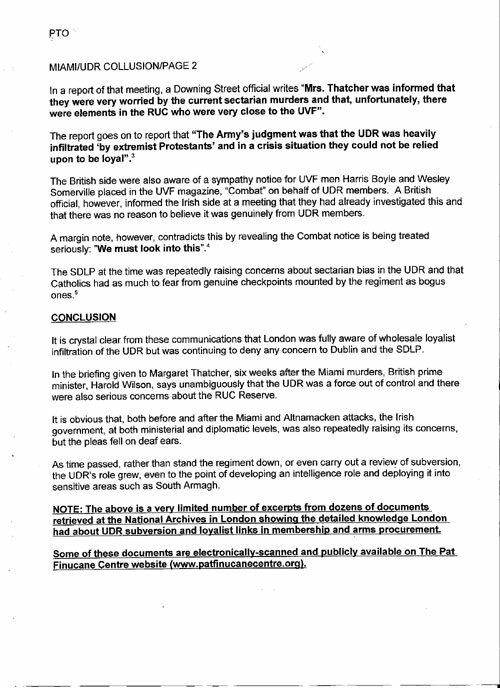 A British official, however, informed the lrish side at a meeting that they had already investigated this and that there was no reason to believe it was genuinely from UDR members. The SDLP at the time was repeatedly raising concerns about sectarian bias in the UDR and that Catholics had as much to fear from genuine checkpoints mounted by the regiment as bogus ones. in the briefing given to Margaret Thatcher, six weeks after the Miami murders, British prime minister, Harold Wilson, says unambiguously that the UDR was a force out of control and there were also serious concerns about the RUC Reserve. 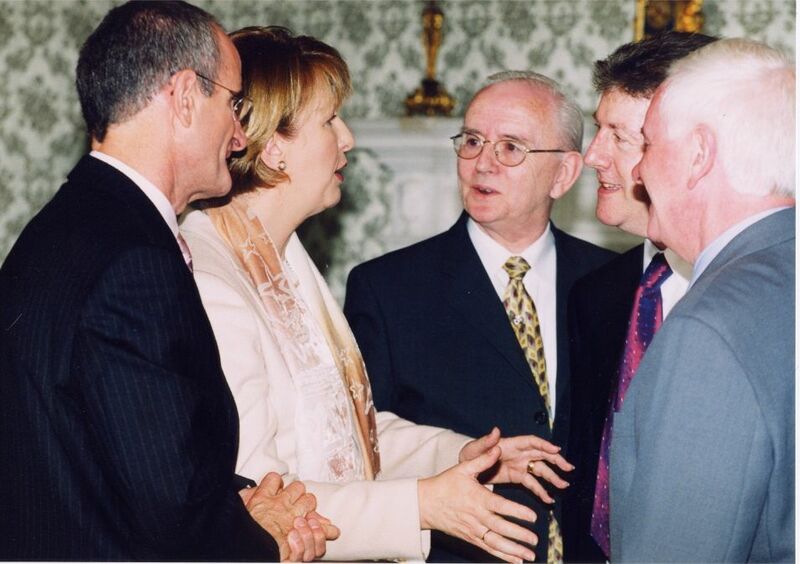 It is obvious that, both before and after the Miami and Altnamacken attacks, the irish government, at both ministerial and diplomatic levels, was also repeatedly raising its concerns, but the pleas fell on deaf ears. NOTE: The above is a very limited number of excerpts from dozens of documents retrieved at the National Archives in London showing the detailed knowledge London had about UDR subversion and loyalist links in membership and arms procurement. Some of these documents are electronically-scanned and publicly available on The Pat Finucane Centre website (www.patfinucanecentre.org). 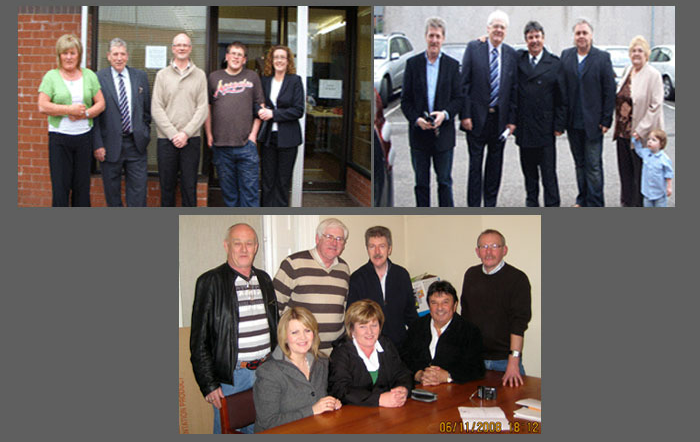 On 25th April 2009 Stephen Travers and Des McAlea of The Miami Showband attended the opening of the new headquarters of The Omagh Support and Self-Help Group. The text of Stephen Travers’ speech. In 2007, following the publication of The Miami Showband Massacre, Tony Benn MP, Member of Parliament who served as Secretary of State for Energy in 1975, sent this message to Stephen Travers. 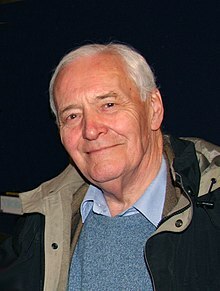 Anthony Neil Wedgwood “Tony” Benn, PC (born 3 April 1925) is a British Labour Party politician and a former MP and Cabinet Minister. His successful campaign to renounce his hereditary peerage was instrumental in the creation of the Peerage Act 1963. In the Labour Government of 1964–1970 under Harold Wilson, he served first as Postmaster General, where he oversaw the opening of the Post Office Tower, and later as a notably “technocratic” Minister of Technology, retaining his seat in the cabinet. In the period when the Labour Party was in opposition, Benn served for a year as the Chairman of the Labour Party. In the Labour Government of 1974–1979, he returned to the Cabinet, initially serving as Secretary of State for Industry, before being made Secretary of State for Energy, retaining his post when James Callaghan replaced Wilson as Prime Minister. During the Labour Party’s time in opposition during the 1980s, he was seen as the party’s prominent figure on the left, and the term “Bennite” has come to be used in Britain for someone of a more radical, left-wing position. Click the Wikipedia link for more information on Tony Benn MP. 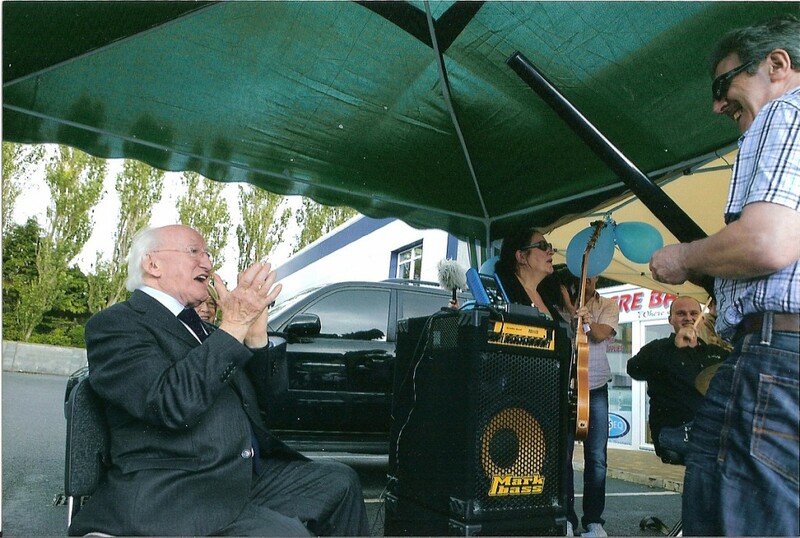 The Ennis Guitar School was visited by Ireland’s President Michael D. Higgins and First Lady Sabina Higgins. 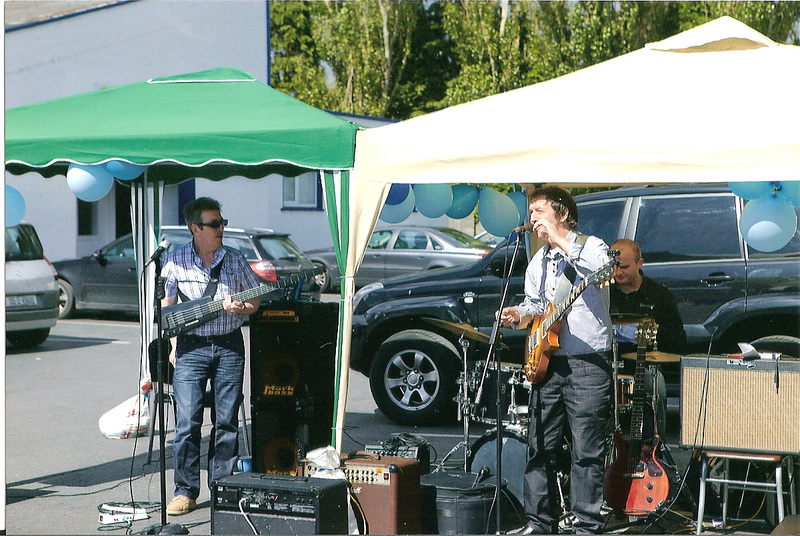 Playing to the delighted audience was Stephen Travers, Johnny Fean and Blendi Krazniqi from The Miami Showband. 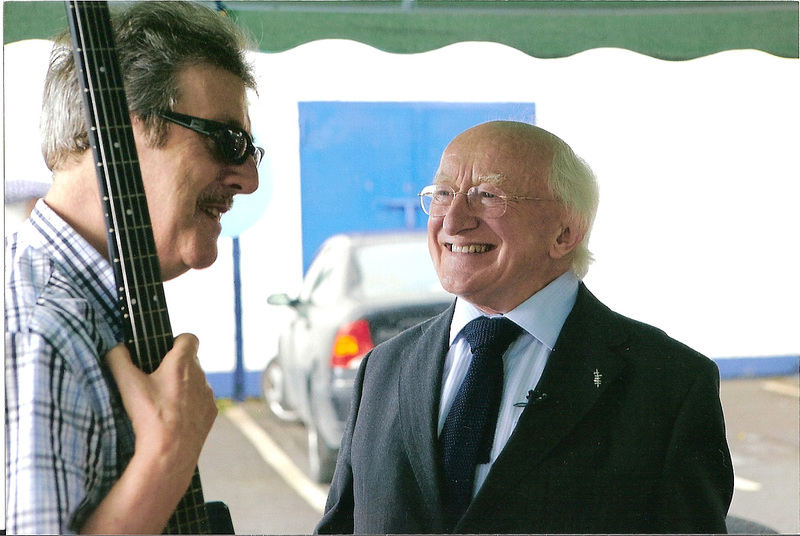 Stephen Travers and The President of Ireland Michael D. Higgins share a private moment. Stephen Travers parked his Landcruiser behind Johnny Fean and Blendi Krasniqi for a quick load-in. 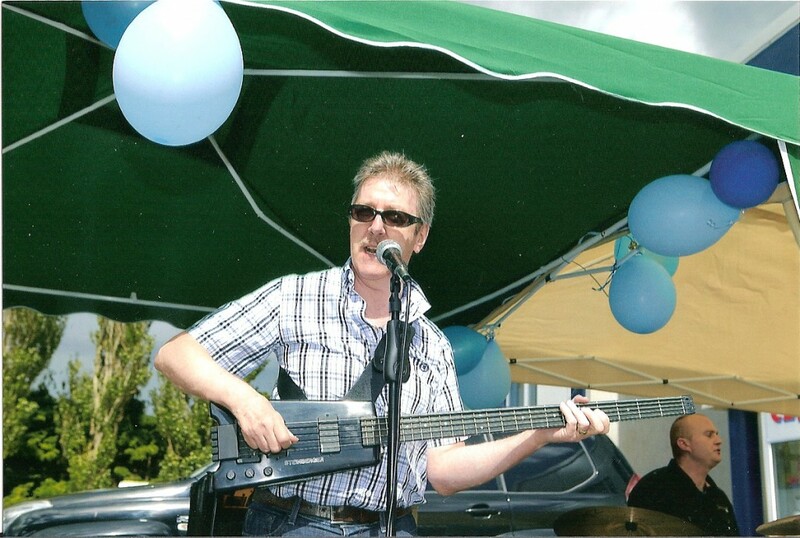 Stephen Travers performs for students of The Ennis Guitar School. 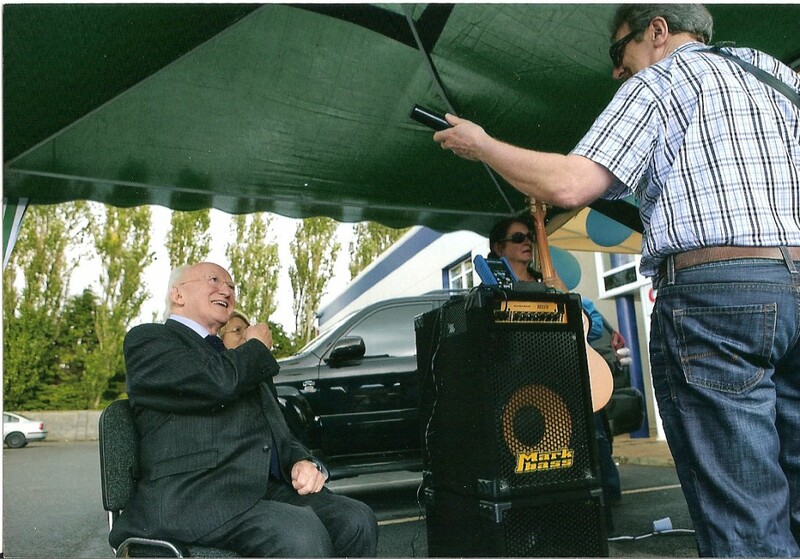 Stephen Travers receives the seal of approval from The President of Ireland Michael D. Higgins. 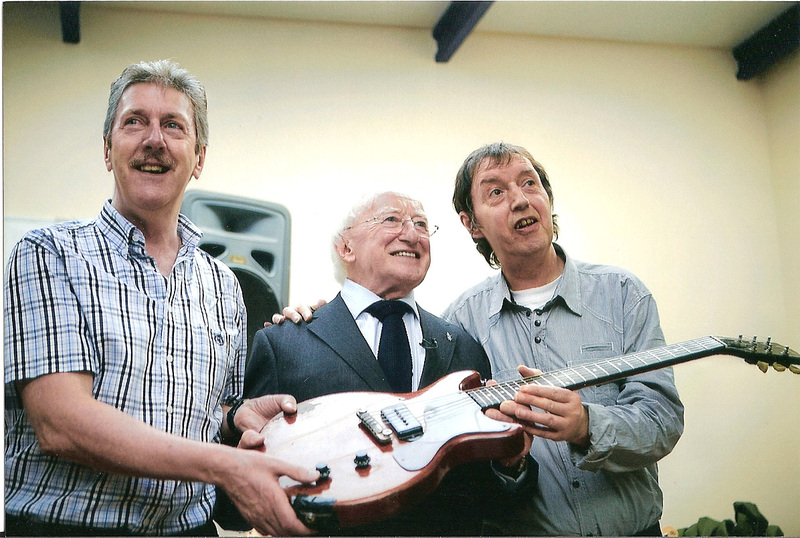 Stephen Travers, The President of Ireland Michael D. Higgins and Johnny Fean. 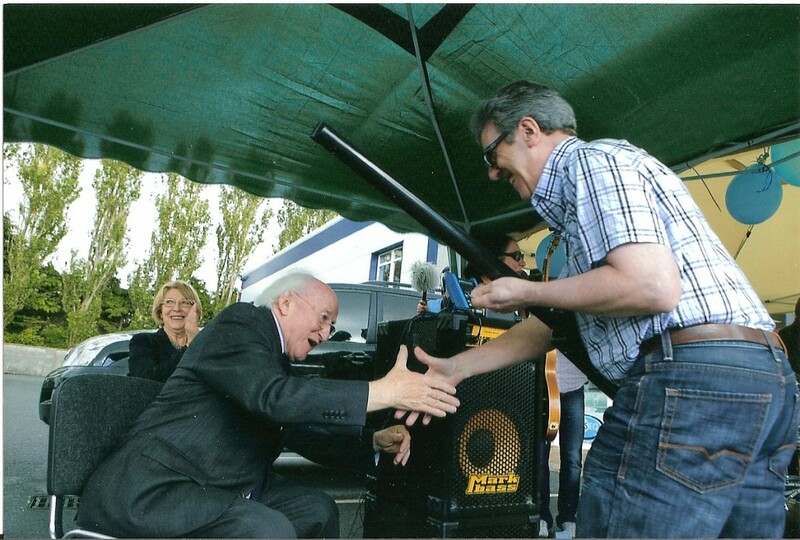 The President of Ireland Michael D. Higgins congratulates Stephen Travers while The First Lady Sabina Higgins applauds. The President of Ireland Michael D. Higgins gets a ringside seat beside Stephen Travers. 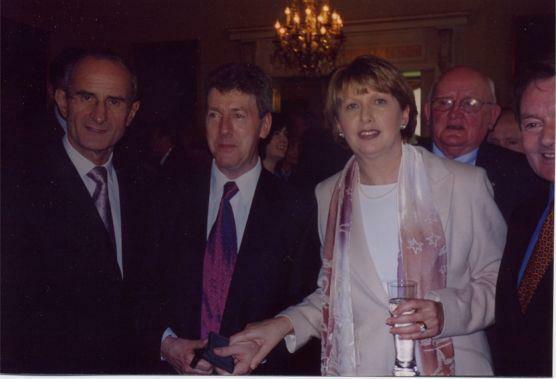 The President of Ireland Mary McAleese and Dr. Martin McAleese with Stephen Travers at Aras An Uachtaran. A memorial to the victims of the Miami Showband Massacre has been unveiled in Dublin by Taoiseach Bertie Ahern. Today’s unveiling of the monument at the former National Ballroom on Parnell Square North was attended by survivors of the massacre, Stephen Travers and Des McAlea. An inter-denominational prayer service was held with Catholic priest Fr Brian D’Arcy and Anglican rector, the Rev Robert Dean. Eurovision Song Contest winner and former MEP Dana Rosemary Scallon led the singing. A full transcript of the Taoiseach’s speech is below. Speech by the Taoiseach, Mr. Bertie Ahern T.D. at the Unveiling of a Memorial to the members of the Miami Showband who were murdered on 31 July 1975. The speech was given at the Hugh Lane Gallery, Parnell Square on Monday 10 December, 2007 at 1.15 p.m.
Their murder was an atrocity which had such a profound impact on everyone on this island. It is remembered with sadness to this very day. We are here to remember and honour Tony Geraghty, Fran O’Toole and Brian McCoy. We are also here to pay tribute to their families and friends, and to the survivors of that awful attack, Stephen Travers and Des McAlea. I would like to welcome Brian’s widow, Helen, the McCoy family, the Geraghty family, and the O’Toole family. I would like to especially welcome Rachel O’Toole, Dustin Shaw and Declan Shaw, Fran’s grandson, who have travelled from Canada. I am glad to be able to tell you in person today how well loved Fran, Tony and Brian were in Ireland – as people and as musicians who brought joy to so many people. I have had the privilege of meeting many of you before. You have told me of the awful events of that night and of the terrible impact it had on your lives ever since. You have explained the pain and loss you have suffered. Stephen has very eloquently told me his story and the story of the Miami. He has in recent times told that story to a wider public audience. It is a story that needs to be told and be remembered. I know there are others here today who lost loved ones in the Troubles. Our thoughts and prayers are also with them. I know it is an especially difficult time of year coming up to Christmas. As we see the great progress in our country in recent years – the economic growth we see all around us in this city and the huge leaps forward in the North – it is sometimes hard to believe that thousands of people were killed and injured on our small island within living memory. The stories of the families here with us today reflect that greater suffering. It is a loss that is probably still too enormous for us to comprehend. But we must not – and we will not – forget their suffering. That suffering is sharpened by the clear evidence of collusion by the security forces in many of these murders, as has been made clear by several reports over the years. I know the quest for answers continues and I reiterate the Government’s support for the families in that quest. We will take another step when there is a full debate in the Dáil at the beginning of the new session in early February. These issues demand and deserve the attention of our National Parliament. Today is about remembering the Miami Showband, in words and in music. We remember the affection in which they were held by people the length and breadth of Ireland. Their popularity crossed all boundaries and all traditions. They simply wanted to entertain everyone who had a love of music. At a dark time, they were a shining light for so many. This very evocative sculpture recalls the youth, the talent and the popularity of Tony, Fran and Brian. It is also a tribute to those who survived and the strength of the bereaved families in coping with their loss. I would like to thank Redmond Herrity for his wonderful work. I would also like to thank Margaret Urwin and the Justice for the Forgotten campaign for their work on behalf of victims; the Remembrance Fund Commission represented by David Andrews; and Dublin City Council. I know that there was a very special memorial service and a concert on the 30th Anniversary of the atrocity in 2005. This gave many friends, former colleagues and fans the opportunity to pay tribute to the band and to celebrate their work and their lives. It was fitting that the Miami were remembered with music, as today we remember them with music and with art. It is fitting that they are remembered in this special place, in the heart of our capital city. This is an emotional day, a day of sadness. But it is also a day of celebration and of immense pride. In that spirit and in memory and celebration of the lives of Tony Geraghty, Fran O’Toole, and Brian McCoy, I am honoured to unveil this sculpture. Every man and woman that ever stood on a stage north of the border was a hero. Night after night they fought the forces of division and suspicion. They destroyed the work of those who sought to drive a wedge between the people. They brought people together. They were called “showbands”. Sadly, a few brave musicians died in this heroic endeavour. 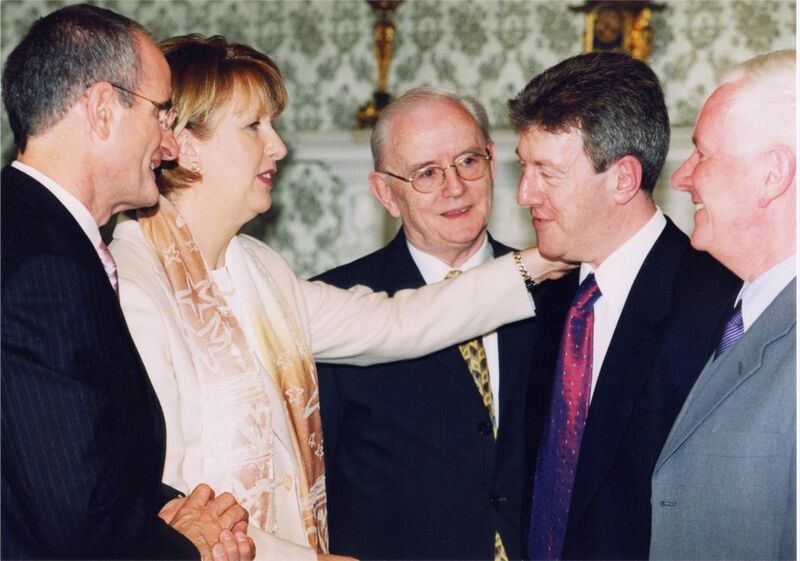 Among them were our friends and colleagues; Tony Geraghty, Fran O’Toole and Brian McCoy. We, who survived, are immensely proud to have shared their final hours. We miss them more than words can ever say. Sometimes only the music can give us comfort. It is our fervent wish that lessons will be learned from such insane events. We hope mankind will soon realise the futility of violence. The Miami Showband charity single Joy To The World. The Miami perform Joy To The World in aid of The Ocean Road Cancer Institute in Dar-Es-Salaam, Tanzania, Africa. The Institute is the only hospital in East Africa that provides chemotherapy free of charge. Also included are The Huruma School for Disabled Children and Children In Crossfire. In a poor country children with disabilities are particularly vulnerable. Thanks to Stephen Travers, Gerry Brown, Ray Millar, Johnny Fean, Richard Moore. The contribution of Irish showbands to the social development of Ireland was important and immense. As our young people grew in confidence and asserted themselves in the twentieth century, their signature tune was undoubtedly played by the talented and enthusiastic young men and women that, night after night, reproduced the sounds of the era in the ballrooms throughout the length and breath of the country. Times were innocent and exciting. Their journey mirrored and, sometimes, drove the musical taste of a young population. Some, like their fellow musicians in classical orchestras and traditional jazz bands, were content to cover the music of others while some attempted to incorporate their own original ideas, arrangements and compositions into their nightly repertoire. Naturally, “he who pays the piper calls the tune” and usually even the more adventurous showbands toed the line and played the familiar songs of the day. One of the bands that managed to carry its audience along as it developed into a modern world class act was The Miami Showband. No other band in the world has the pedigree or history of The Miami Showband. Undoubtedly it has achieved mythical status and the names of its musicians are indelibly written into music and social folklore; its sacrifice forever burned into the soul of a country. Nevertheless, it would be all too easy to let the legend obscure the music; but it was the music that really mattered to the millions of people around the world that constitute “the Irish Diaspora” and loved The Miami Showband from the very beginning. During the sixties and seventies, hundreds of thousands of adoring fans packed the dance halls and concert venues throughout Ireland, the UK and the USA to catch a glimpse of and listen to The Miami Showband. This band, more than any other, embodied the popular music and style of their era. It is universally accepted that The Miami Showband reached its artistic pinnacle while fronted by the young and outrageously talented Fran O’Toole. He had it all, a magnificent soulful voice, musical genius, fabulous image and a personality to match. He was accompanied by the very best young musicians in the country. Des Lee, Stephen Travers, Ray Millar, Tony Geraghty and Brian McCoy were loved by their countless fans and respected by their peers. They were unstoppable until fate intervened and took the young lives of Fran, Tony and Brian. It was indeed “The Day the Music Died”. Friday October 30th at 8.00 p.m. The Cuisle Centre Cancer Support Group. 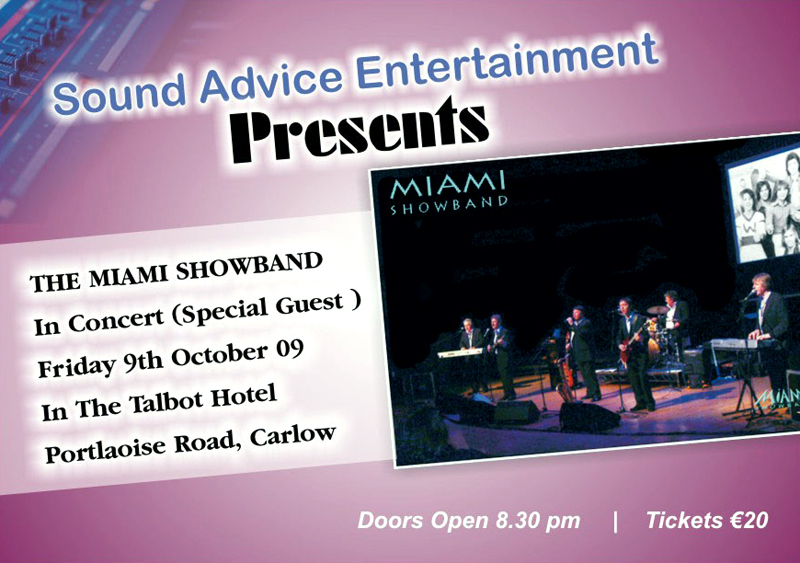 On Friday November 20th 2009 showband history was made at The Silver Springs Hotel in Cork when Dickie Rock and The Miami Showband reunited after thirty-six years. The catalyst for this momentous reunion is the bravery of a young woman who has been paralysed. They say God works in wondrous ways and in accommodating this reunion, He appears to have pulled out all the stops! This was a concert not to be missed, as the very best of Cork’s showband talent including Pat Lynch, Declan Ryan, Terry McCarthy (Dixies), Edward James and DJ Ted Dunne made guest appearances and rolled back the years for a genuine glimpse of the halcyon days of Ireland’s showbands. In 1973 Dickie Rock and The Miami Showband parted company. Some observers said it was inevitable as “the times they were a changing”. Dickie concentrated on a successful career in cabaret; singing popular big ballad classics as only he can. The Miami Showband, fronted by the dynamic young singer/songwriter Fran O’Toole, transformed itself comfortably into a modern pop group destined for international greatness. However, just two years later, history now records that tragedy struck the young band and cut short the lives of three Miami members, Tony Geraghty, Brian McCoy and Fran O’Toole.